Following an article posted on Fox Business, CFO Consulting Services, a leading CFO services provider, explains what deductions small businesses are eligible for. 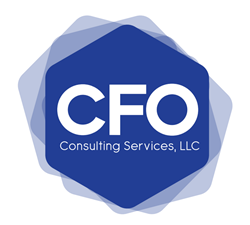 CFO Consulting Services, a leading CFO services provider, discusses eligibility for small business deductions and how to save money. According to a March 17th article posted on Fox Business titled “A Dozen Deductions for Your Small Business,” small businesses often miss deductions on their taxes that save a lot of money. By doing some homework and spending a little more time researching, small businesses can find out what deductions they qualify for to save money. 1. Office Supplies- Save the receipts on purchases for office supplies. Every purchase adds up, and at the end of the year, it could make for a hefty deduction. 2. Retirement Contribution- Saving up for retirement? Claim it on your taxes to see a nice deduction. 3. Insurance Premiums- If you are self-employed and pay your own health insurance premiums, you can deduct the full cost. However, the article says that the deduction can’t be more than the business’ net profit. 4. Mileage- If you travel a lot for business, keep a record of receipts and a log of your trips to qualify for a deduction. 5. Furniture- Buy furniture for business this year? Keep the receipts! Under Section 179 of tax code, you are able to deduct 100 percent of these costs subject to limits. 6. Software and Subscriptions- Computer software is also eligible for deduction under Section 179. These costs can add up, so it’s important to keep all receipts and proof of purchase if available.